Thank you for visiting our website! Please feel free to read our FAQ section and learn more, or contact us with any questions you may have, and we will do our best to get back with you as soon as possible. 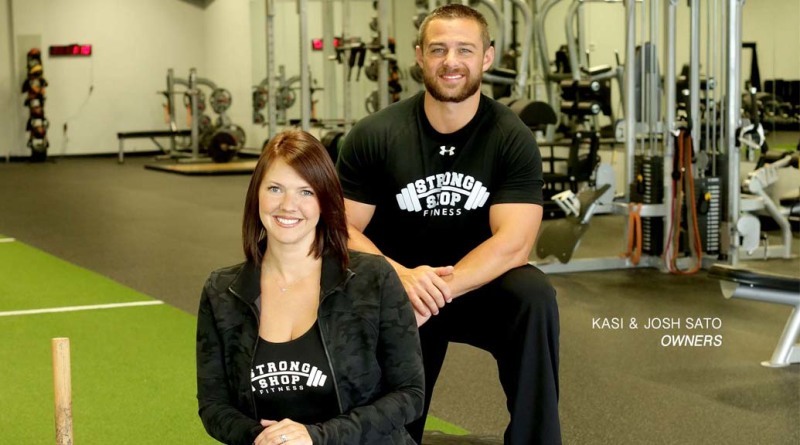 Strong Shop Fitness was founded in 2011. We are family owned and operated and always have been. Our goal is to make you feel like part of the family through your experience at Strong Shop. We understand that everyone's fitness journey begins and ends in a different place. Our job is to help you find out where that is, and develop a plan for you to get there. We are not here to judge or dictate, but merely to guide and motivate you to the fitness levels you've always dreamed of. We recommend that you wear workout attire and tennis shoes. You want to wear something that you can move and sweat in comfortably. No. We modify our exercises to fit all fitness levels. We want each client to feel strong, powerful and proud when they complete their session. We will help you along your fitness journey! Even if you are looking for gyms in Lexington, KY for the first time, you will fit in here. Yes! We offer discounts to Military/ Fire Dept/ Law Enforcement/ Students with ID. With no contract, billing is simple! At the end of each month, you're only billed for the sessions you used. How do I pay for Group Sessions? You can pay online when you sign up for your session or you can pay at our front desk. You can pay by each session or choose of our package options and receive discounted rates. Sessions range from $15-$20 depending on the option you choose. We offer the most competitively priced fitness classes in Lexington, KY.
Do I have to do Personal Training before I can do group sessions? No! Group sessions are open to anyone. However, personal training clients do receive a discount for Shred sessions. How do I sign up for group classes? We do not require that you sign up online, but we do recommend it. How do I schedule a personal training consultation?